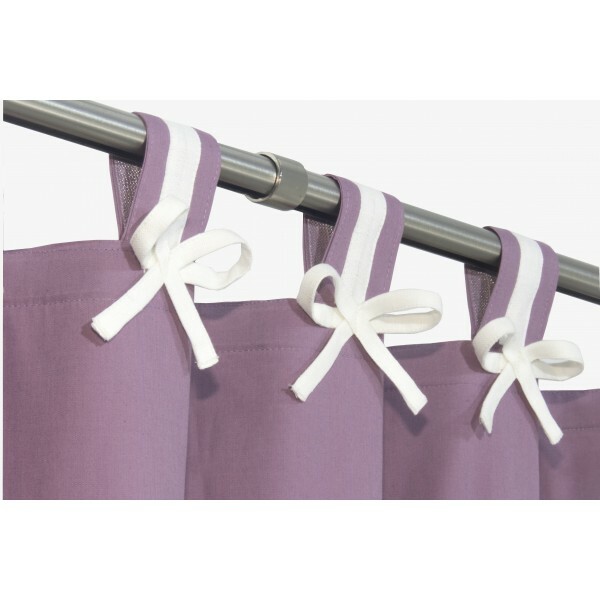 Beautiful nursery tab top blackout curtains in off-white linen with organic cotton purple block with bows (Two panels). These dimensions and colours are an example. We can make a bespoke size and design using custom colours. 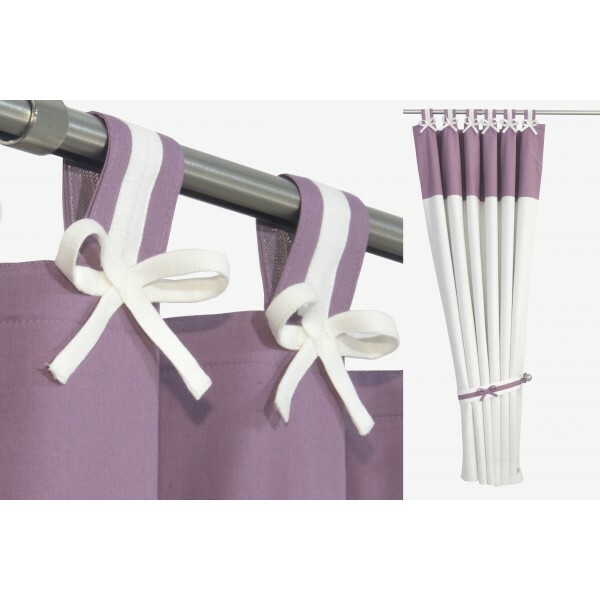 This is a pair of very stylish pure linen and organic cotton curtains with pure cotton blackout lining. The set includes tiebacks, as shown on the image. Both the main fabric and the block colours can be customised. The alternative to the off-white linen colour is beige/oatmeal and medium grey. For the block at the top, we can also offer a wide range of colours-please take a look at our other design or just send us and an enquiry. 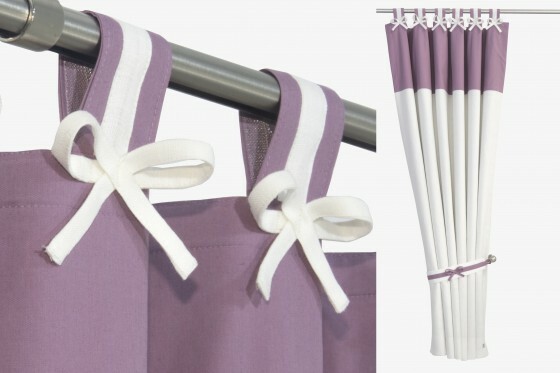 These curtains can be either unlined or lined. The price shown is for a fully lined version but we can easily custom make it without the blackout lining. 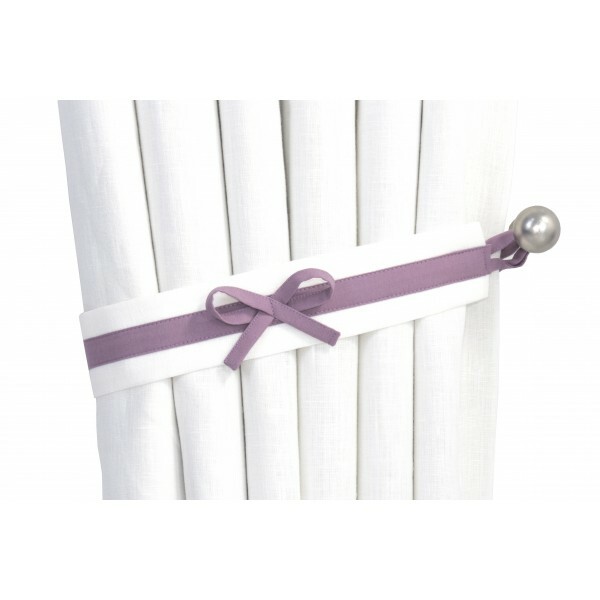 We offer a selection of linings. 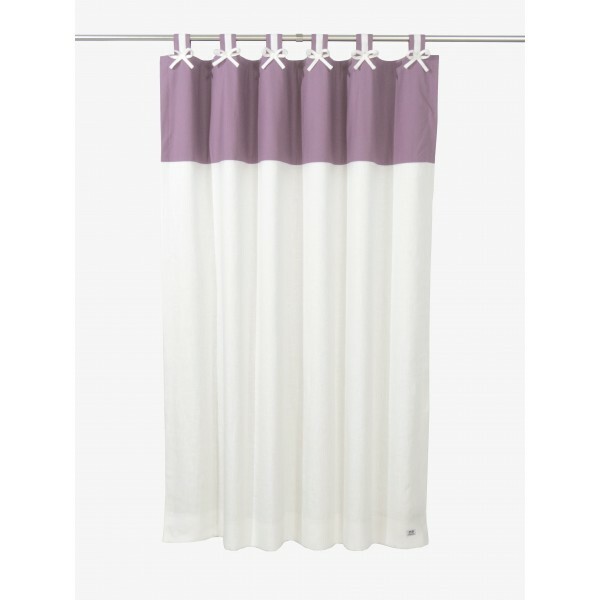 For further information, including prices, please take a look at the Our Fabrics section at the top of the home page. Tiebacks: matching set of tiebacks is included in the price. If you require a different length or width or need a custom colour combination please complete our Contact Us and provide further details and we will send you a quotation.